Maintaining the tradition of representing a good cause, Lakshya 2016 is here to put light on the core factors affecting our current Education Scenario. 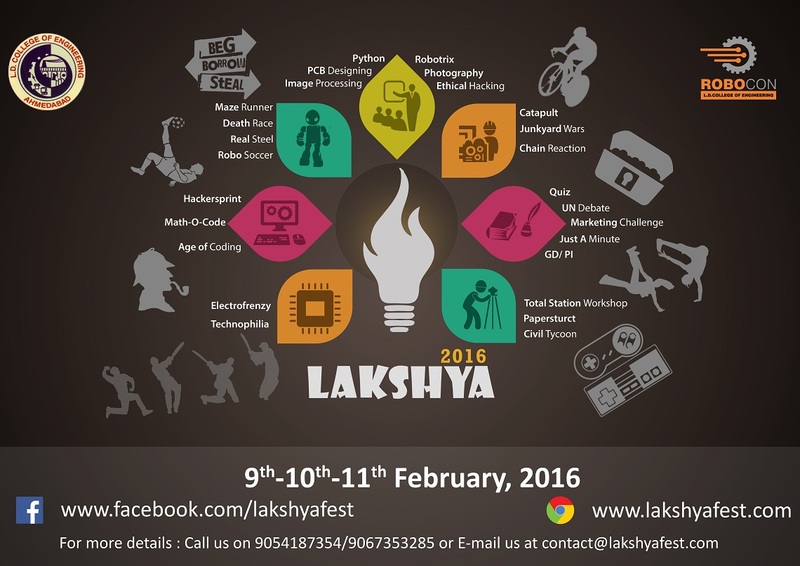 Lakshya’16 is a 3 day fest, going to be celebrated on 9th–10th–11th February. Lakshya, a fest known for its unique way of bridging the gap between knowledge and fun, is going to be a perfect amalgamation of vivid Technical, Non-Technical and Fun events. Opportunities to enhance a diverse mixture of various technical and interpersonal skills, awaits your presence.